What I'd really like to hear is if you plan to fix the thruster placement at some point. Because right now it doesn't matter at all where you place thrusters, only in which direction they point. I also read something about a hardcoded 800MB memory limit? I have 16GB RAM so I'd love to make full use of that. Currently counting down the hours with a couple of work colleagues. As to optimizations, I'm no programmer, but I can agree with the rest of the community that I'm amazed how smooth it runs. I push games to the limits, but know to town it down for actual gameplay. So to see the engine can cope with multiple craft, complex designs and collisions, and keep a reasonable FPS is great. Great hindsight on the HW testing, all star move on your part Mr. Rosa. Congratulations on your alpha release success. The pre-alpha was also a brilliant move and enable so much fan created content to be made. One note: There is no such thing as too much publicity. I love this game, between this and KSP, I've had absolutely Zero free time lately, Keep up the awesome work! Fantastic job so far. My only point of frustration is that small ships are not subject to the gravity fields of larger ships. Makes docking bays a bit of a issue. In my opinion, the thrusters are fine the way they are, if you have engines like they do in Kerbal space program, some people would never be able to build ships like the U.S.S. Enterprise, or Battle Star Galactica, and ships that are uneven like a imperial star destroyer. So I hope you don't change the engines, their fine like they are. or at least make an option to turn off and on thruster placement realism . Is this going to get multiplayer? I'm really interested in buying the early access on Steam but i'm not sure to understand what the game will be like once ready? Exploring and gathering in a MP environment? If that's the direction for this game i'll grab my copy right away! I beg thee.... please oh please release MP soon with some weapons. That'll keep us busy and pleasently distracted until the other features are released. This game is totally awsome..
Love it and I am really looking forward to all updates..
You have really made something special here. Congrats Marek Rosa and the rest of the Team! I was surprised at how smooth the game is, I have i5 3.10ghz, 8gb of ram, radeon hd 7750, and on normal I get a nice 60fps or so, in high, i still get decent fps (around 40-45) But with a game like this, its hard to get a solid performance because you are always changing the "world" around you. Like in Minecraft, no matter how good your computer is, at some point it will choke up a little until it settled (rendering chunks). But this game never choked up on me. 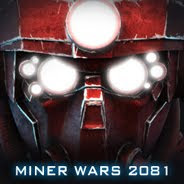 I just want mining working :) and multiplayer or split screen option. Can the game controls be rebound? I haven't bought the game yet and the only video I have seen mentioning controls didn't say. I need to know because I can't play the right handed set up and won't get the game if it means I can't play it. Hey Marek testing testing i'm quite happy from what i see so far, SE have great potential, how about Yaw and Pitch? right now i saw it is bound to mouse, for some people its good solution, but as for me and i guess many others it would be nice to have possibility to reassign it to keyboard . Also adding possibility to disable inertial damping from ships console may be good idea for those who like to feel control big ships by them selfs or just traversing sectors without constant holding fwd control , have a great day. I am glad you like SE. You can rotate via arrow keys on keyboard, it's the same thing as mouse but feels better for heavy ships. It's possible to run this game on radeon x1950 ? I just tested this beautiful game... Thanks sooooooo much for this, seriously this game is what a me and my friends are waiting for too long! This game has so much potential!!! Can't wait for the weapons and PVP! When I saw the videos about this game on YouTube, I couldn't to believe to my eyes... and after the 3 hours I bought it. This alpha is already made me love this game very much. Good luck and waiting your new updates. I hope very much that the new update will give us available to stand small ships in docks of large ships and fly with them inside. When in small spaceships clicking 'm' should magnetize the feet so it doesn't float around when you doc in a moving big ship. i fully agree i would like to carry my small ships inside my large ships with out them floating around and busting into a million pieces. Im just concern about requirements now, hopefuly there is way to improve something on that field. "custom world 2" is really complex. Good news is that there are many 3D models that were not optimized yet, so once we do that, it will run faster. the second scenario called "easy start 2" i believe has a large green station and it lags like a mofo. can you please identity the issue? i think it might be due to the amount of blocks and a too high lod switch range. I think the next update should be multiplayer. at least just private matches to play with your friend. i want to be able to save my ships, big and small, and bring them into other worlds like in Gary's Mod. This is because if i make the death star in one map, i don't want to have to make such a large ship all over again if i want it in a different world. You guys have no idea how much I love you. I have been waiting for this game since the beginning of space ship games. For a first version I am very impressed. The potential is just mind boggling. Did I mention that I love you guys? So many gaming dreams coming true within one game! Please, pretty please, keep making this even more awesome! I have a few notices. 2. You scratch a few blocks in figure then you want repeair them so you remove destroyed blocks and insert in this place a new blocks. After add last block which is a joint of old and new - all new blocks are destroy again. (Maybe if you share welder this way of repair will not be necessary). But this can be against with a game line. 4. Maybe add some blocks of different hardness, weight and materials need to create.